The laidback country lifestyle awaits with this dream-worthy 5.08-acre property! 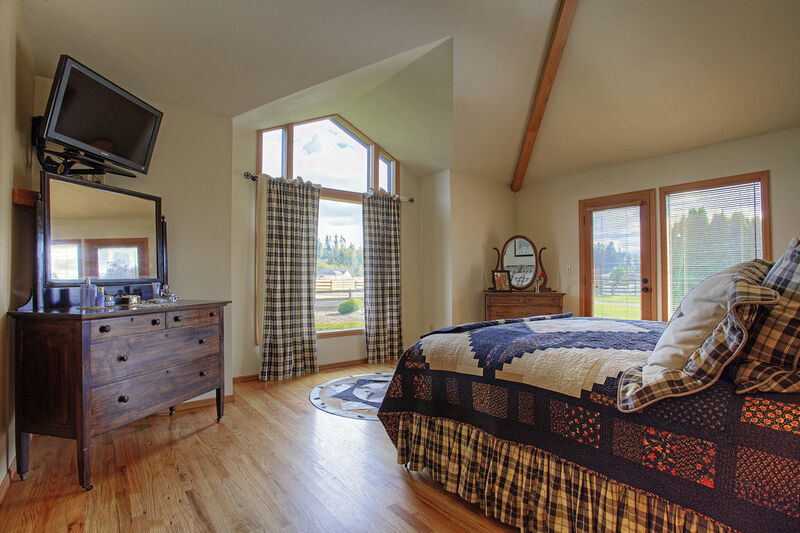 Meticulously maintained both inside and out, this dynamic Spanaway masterpiece not only boasts tons of outdoor space, but it also includes an updated 2,384-square-foot rambler, a 3-stall barn, an arena, a huge shop, and so much more. 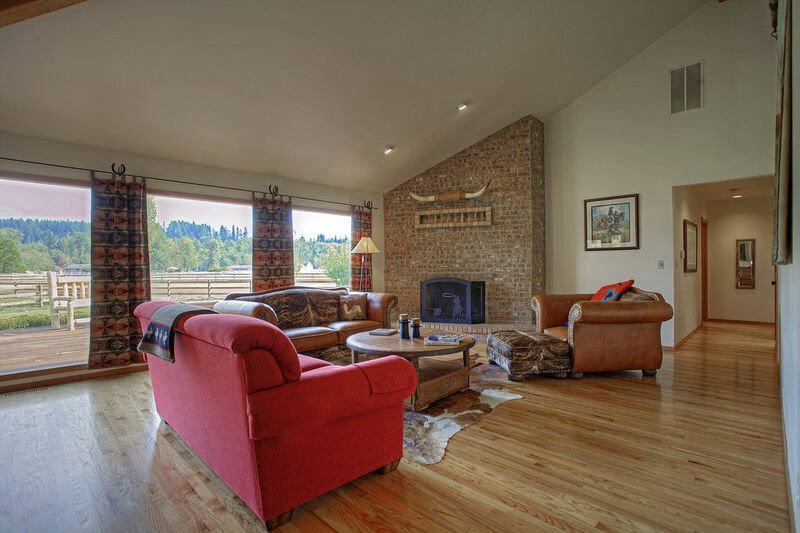 Ideal for those who have horses, this expansive property truly has it all. Located at 5016 266th St E Spanaway WA 98387 and close to Highway 7, this once-in-a-lifetime opportunity is listed for $675,000. Whether you raise horses or just love spending time outdoors, this property will certainly let your imagination take flight! A stately gate opens up to reveal a lovingly cared for property that showcases tall trees and sprawling pastures. The handy sprinkler system with over 50 zones makes yard maintenance as easy as possible, and those with a green thumb will surely enjoy tending to this property’s lush landscaping! 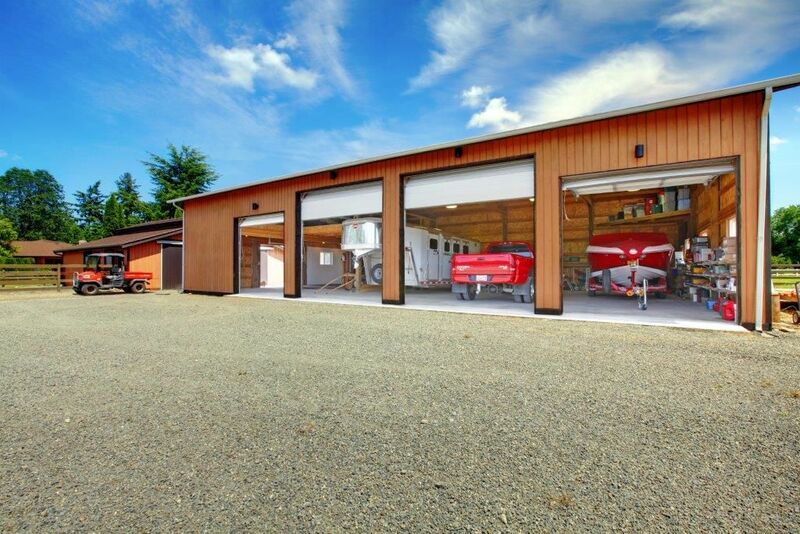 Discover a huge 64’ x 36’ 4-bay shop, featuring plenty of room for storing trailers, tractors, boats, and all of your outdoor tools and toys. Plus, there’s even more parking in the 3-car garage! 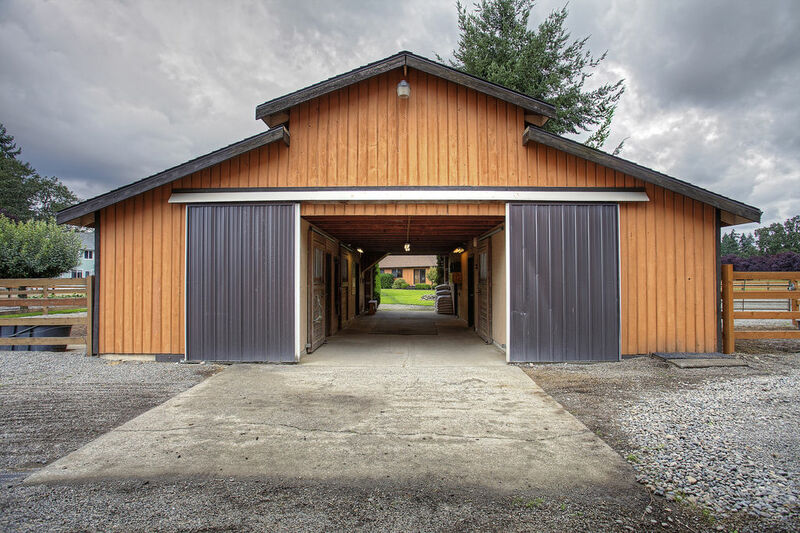 Additionally, a gorgeous 3-stall barn includes paddocks, tack room, wash rack, a feed room, and a loft. Enjoy the view of the 100’ x 200’ arena from the home’s huge back deck, offering a fabulous space for outdoor entertaining. Whether you’re kicked back on a lounge chair watching your horses in peace and quiet or hosting a crowd for a barbecue or party, nothing beats this Western-inspired atmosphere! After a long day well-spent outside, this property’s welcoming 2,384-square-foot rambler is an absolute joy to unwind in. A sprawling living room and family room both show off hardwood floors and towering vaulted ceilings, and each space is filled with natural light that pours in through huge WW windows. Whether you’re snuggled up on the couch watching a movie or enjoying the company of guests by the floor-to-ceiling brick-accented fireplace, this home’s living areas are an entertainer’s delight! 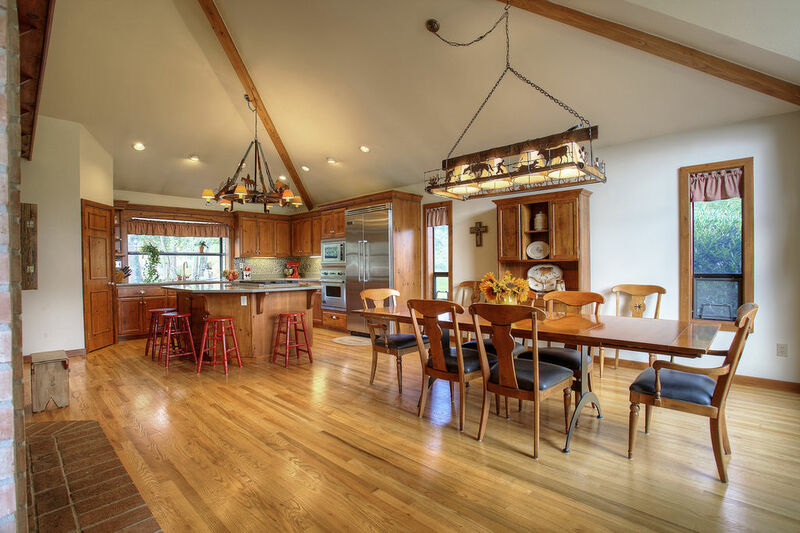 Featuring the same tall ceilings and hardwoods, the open-concept chef’s kitchen and adjacent dining area are certain to become the hub of daily life. Eye-catching light fixtures, exposed beams, rich wood elements, and a wall of exquisite brick accents create a lodge-inspired feel throughout this welcoming haven. Custom cabinetry and Zodiaq counters rest alongside stainless steel appliances, and the layout effortlessly flows into the large dining area. With a layout that features 3 bedrooms and 2.5 baths, this home offers ample space for loved ones to have privacy and a room of their own. The standout master suite is especially a must-see oasis—showing off elegant vaulted ceilings, large windows that offer scenic views outside, and direct outdoor access, this restful sanctuary provides a vacation-worthy atmosphere. Plus, a walk-in closet and 5-piece ensuite bath are just the cherry on top! In the spa-ready bath, find nature-inspired elements and a luxurious soaking tub to indulge in. 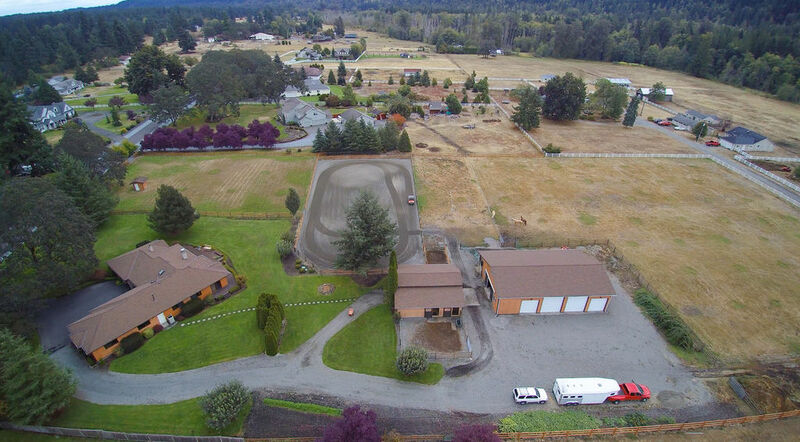 At 5016 266th St E Spanaway WA 98387, you’re tucked away in a wonderfully rural atmosphere that’s secluded from the bustle of city life, all while being conveniently close to amenities. Highway 7 is a short 2-minute drive from home, and if you follow it north it becomes Pacific Ave, a hub of shopping, restaurants, services, and more. Plus, Joint Base Lewis-McChord is just about a 13-minute drive from home.